In antiquity, the Mediterranean area was a pre-global mega-region with a lively exchange system. 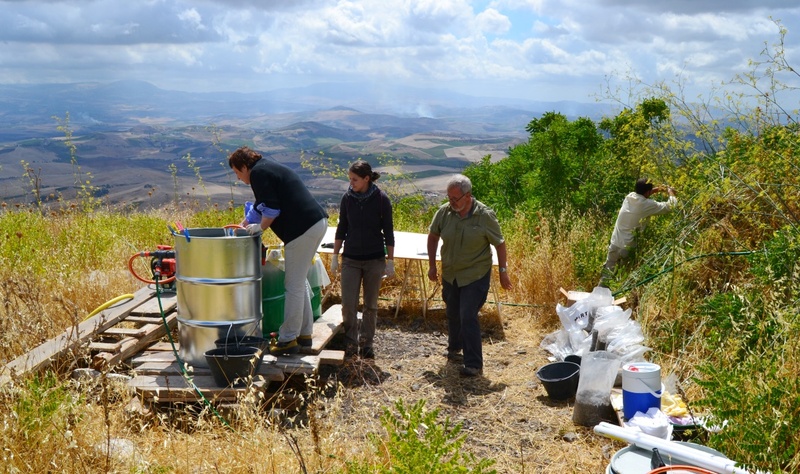 Supported by the FWF, a research team from Innsbruck is reconstructing the influence that imports and innovations from coastal towns, where newly arrived Greek settlers lived, had on local power structures further inland at a cult site on Monte Iato in Sicily. That phenomena such as globalisation, disruption through new technologies and areas reserved for VIPs already featured in antiquity is illustrated by an excavation site on Monte Iato, a high plateau in western Sicily. 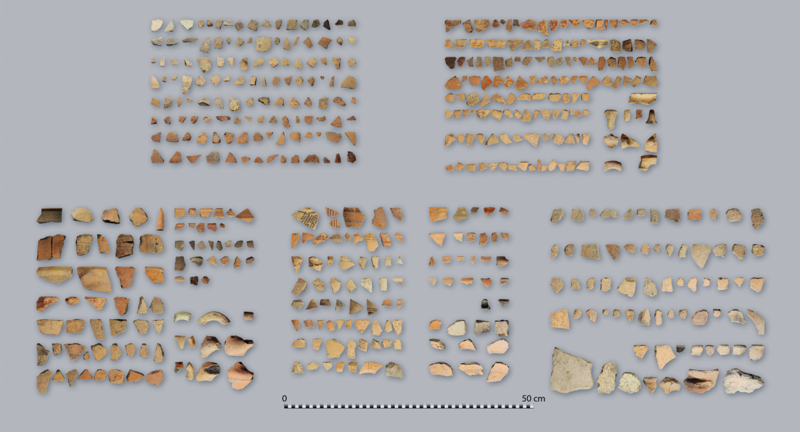 Since 2010, a team from the Department of Archaeology at the University of Innsbruck has been working in the central cult area of the ancient settlement, supported by funding from the Austrian Science Fund FWF. 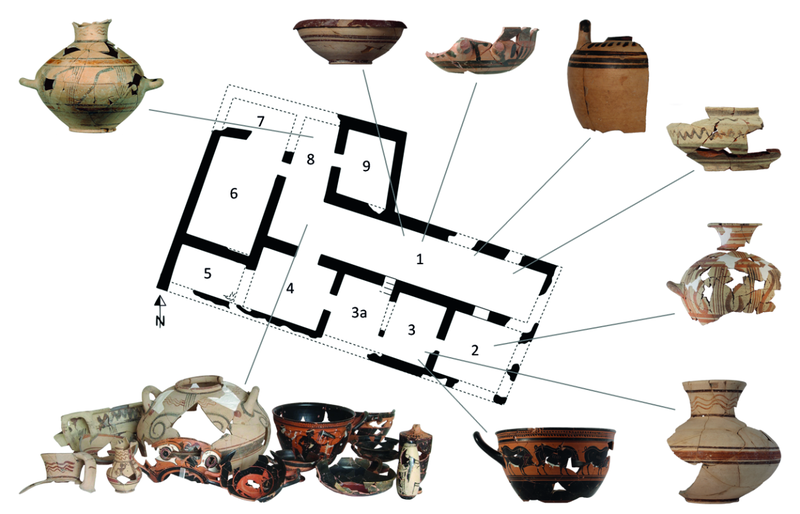 The project Between Aphrodite-Temple and Late-Archaic House III focuses on feasts, rituals, local power structures and what affected them. “As of 525 B.C., the locals had frequent exchanges with Greek and Phoenician settlers on the coast. This can be showed on the basis of traces of technology, culture and consumption”, reports Erich Kistler in the interview with scilog. A Greek-style Aphrodite temple, a cult place and a banqueting house with a luxurious living area have already been uncovered. In addition to these edifices, it is mainly the remains of feasts that the archaeologists find very revealing. What was served where and in what kind of vessels, which parts of a sacrificial animal were eaten, sacrificed or discarded gives them clues about social interactions and power-politics. In antiquity, the Mediterranean area was a “pre-global mega-region”, underlines principal investigator Erich Kistler. His research shows that what was considered as being local and typical of a certain place was the result of recurring renegotiation as a reaction to a global phenomenon even back then. Kistler elucidates that by making comparisons with the present: “Just imagine the Greeks had brought the Internet with them, and some locals had gained access to this new technology through barter and favours. What does this know-how mean for their status in society? The findings confirm that new power-seekers and those who drive modernisation replace traditional authorities and ways of life.” For that reason, the archaeologist does not consider the paradoxical pseudo-historicality of emerging cults that pretend to become indigenous as being merely coincidental. Trying to pretend that one had deeply regional roots in order to gain trust and build a claim to leadership was probably common practice on Monte Iato. In present-day Europe, right-wing populist politicians act in a similar vein when they don traditional local costumes and attend folklore events where people try their hand at reviving old customs and practices for the space of a weekend. In order to better probe possible patterns of behaviour and of consumption and underlying values and social systems as well as to obtain a broad database for making comparisons, the current project hunts for clues at the “Monte Iato crime scene”: “We involve highly specialized experts to learn from them, for instance, where exactly we need to search in order to find exploitable bones and botanical residues. Having discussions among many different specialists helps to develop even sounder explanations and refine the excavation strategy.” In addition, the team conducts intensified experiments (e.g. on a potter’s wheel), and previous finds are re-investigated at the depot from a revised perspective. 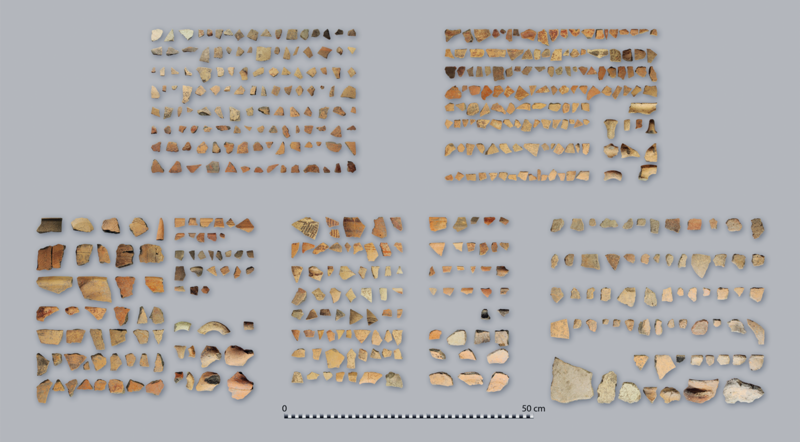 Kistler intends to bring in more experts in material cultural anthropology and garbology (the archaeological analysis of waste). Since the more recent time horizons are always uncovered before the older ones during excavations, Erich Kistler already knows that the rule of the VIPs lasted only about 50 years and that the architectures of the time were then ritually destroyed. In 300 B.C. began another, more lasting, phase of (pre-)global interconnection. This phase ended in the middle of the 1st century AD. Erich Kistler acquired professorial status at the University of Zurich and was Professor of Classical Archaeology at the University of Bochum from 2008 to 2010. Since 2010, he has been a professor at Innsbruck University’s Department of Archaeology. With an international team he explores the interplay of consumption, religion and power struggles on Monte Iato. Other special research interests include the emergence of early Greece and visual communication strategies for the establishment and transmission of group identities in Greek and Roman antiquity.